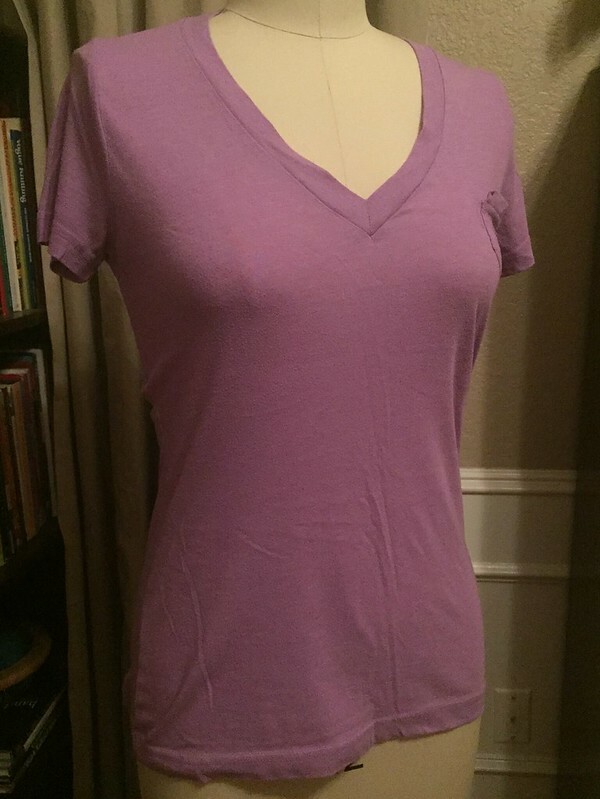 For this week's asymmetrical Refashion Runway challenge, I decided to keep it simple and make over a basic boyfriend tee that fit fine but could use some lovin'. 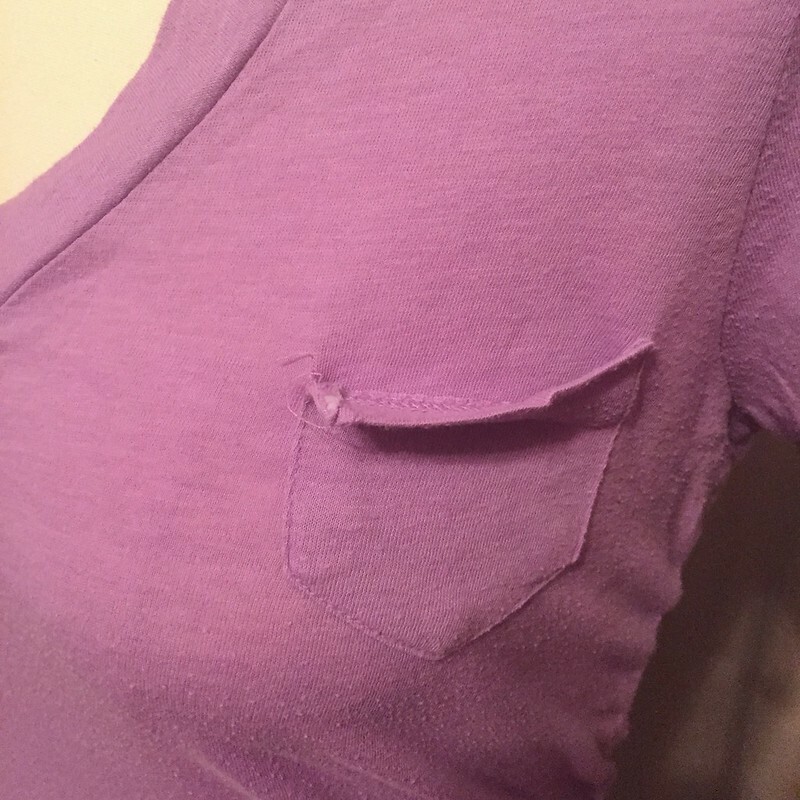 I removed the little pocket that was falling off anyway. 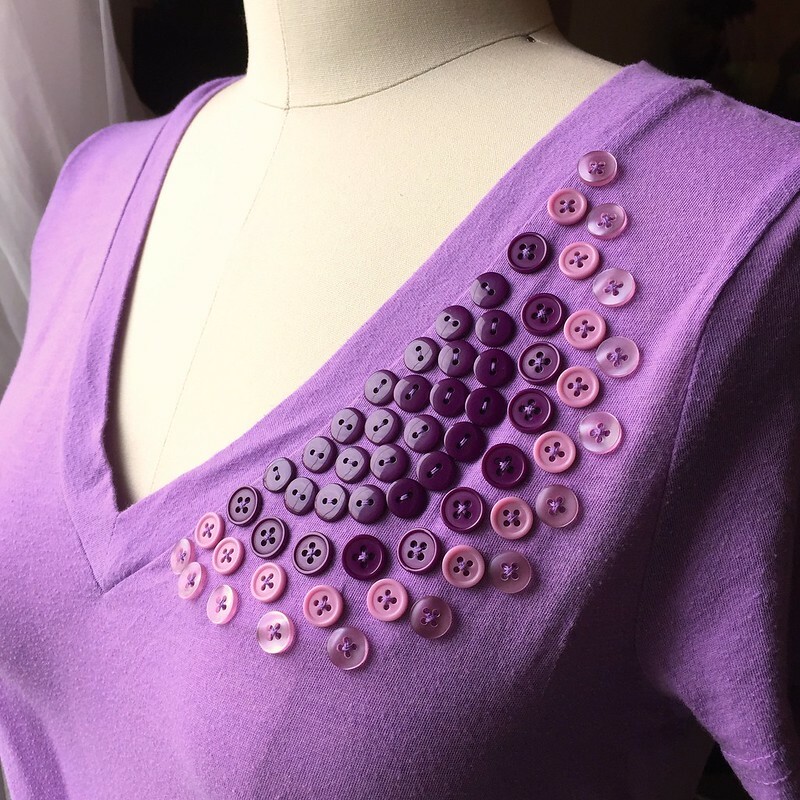 Then I started playing around with all the purple buttons in my button stash. 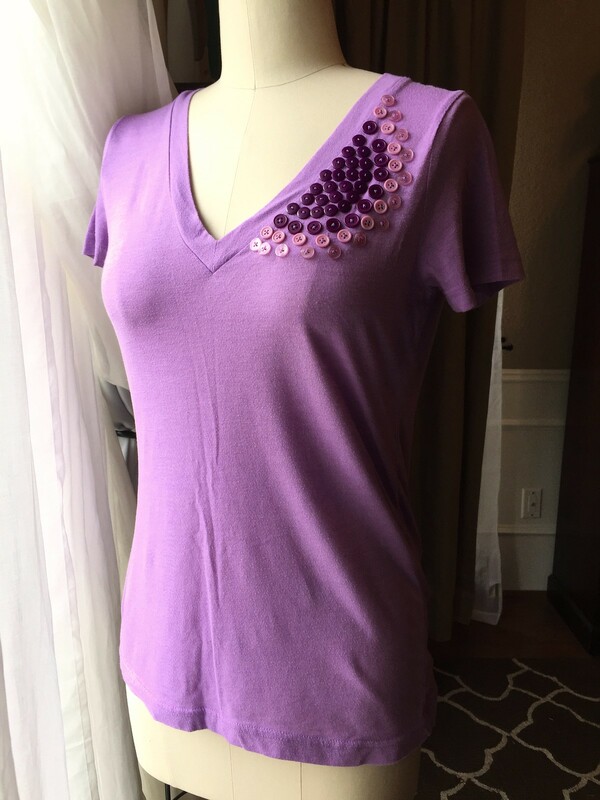 Once I had a design I liked, I stitched them onto the shirt, using a remnant of fabric from another project to add stability to the inside of the t-shirt. As always, you can find more details and photos at CarissaKnits!